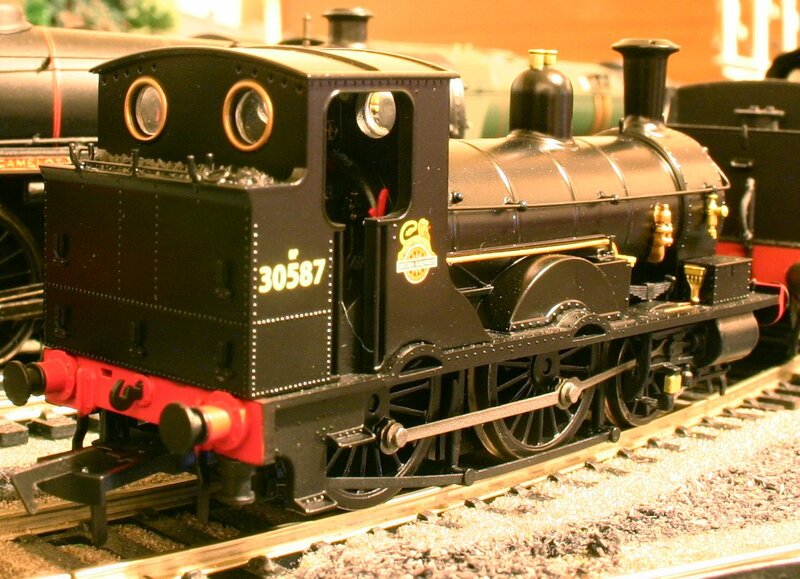 This week’s model star is Beattie Well-Tank 30587. 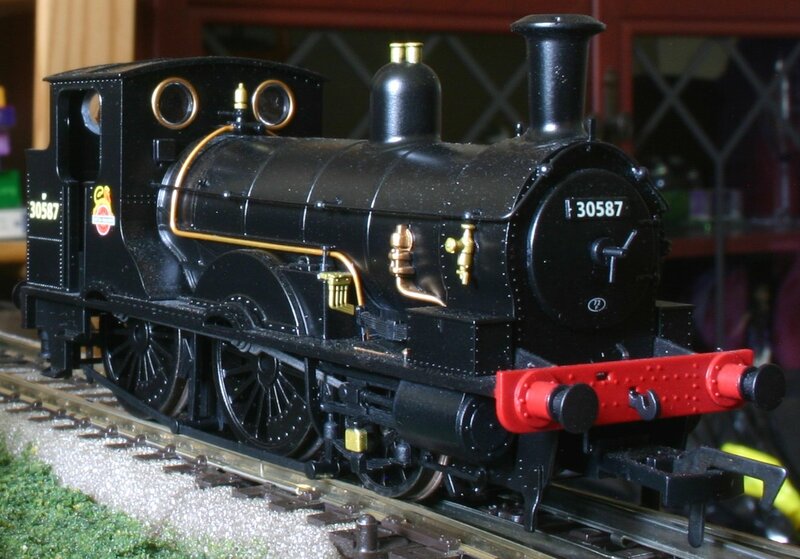 The locomotive behind this model has a very long history, so without ado, let’s find out more! The Beattie Well Tank can trace it’s ancestry back to 1859. Joseph Beattie; Chief Mechanical Engineer of the London and South Western Railway introduced the Nile class of 2-4-0 well tank’s in 1859. The standard well tank was a development of the Nile class and was first built in 1862. This locomotive was one of a batch of 79 standard well-tank’s built by Beyer Peacock and was built in 1874, emerging as number 298. In the earlier part of it’s life, the type could be found anywhere on the LSWR network, although they were mostly concentrated in the London area. They changed in appearance over the years, originally having a high-domed firebox that was replaced by William Adams with a more conventional type. Displaced by Adam’s radial tank’s, the class became scattered away from London. 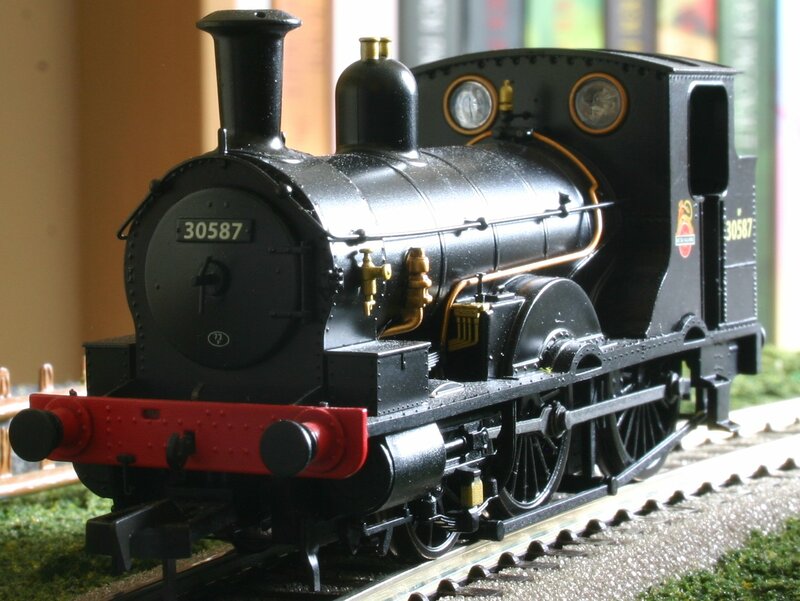 31 were given tenders, but this locomotive remained a well tank and was moved to the Bodmin and Wadebridge Lines. 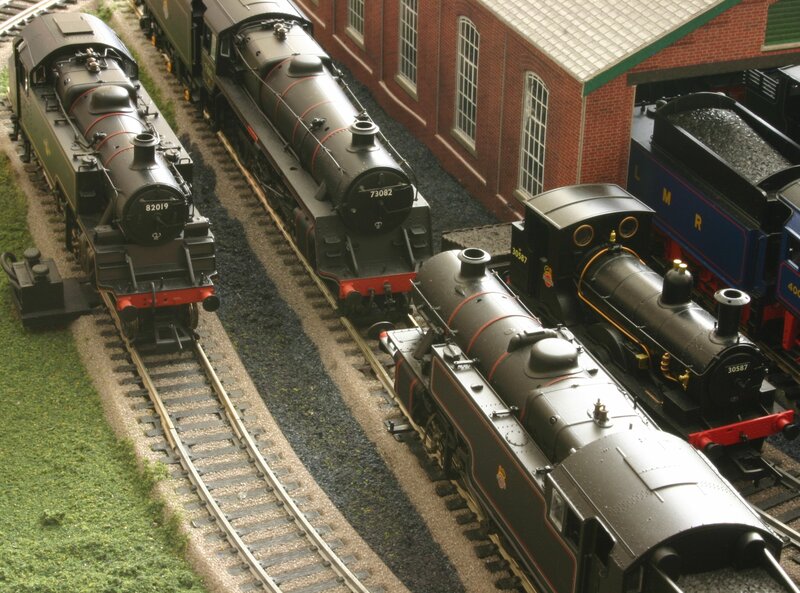 The Bodmin and Wadebridge Line had very tight curves and because of this, it’s three resident Beattie Well Tanks were ideal and for many years suitable replacements could not be found. In 1921, new boilers were required and Drummond 02 1907 pattern boilers were built for the task. 298 also received injectors. 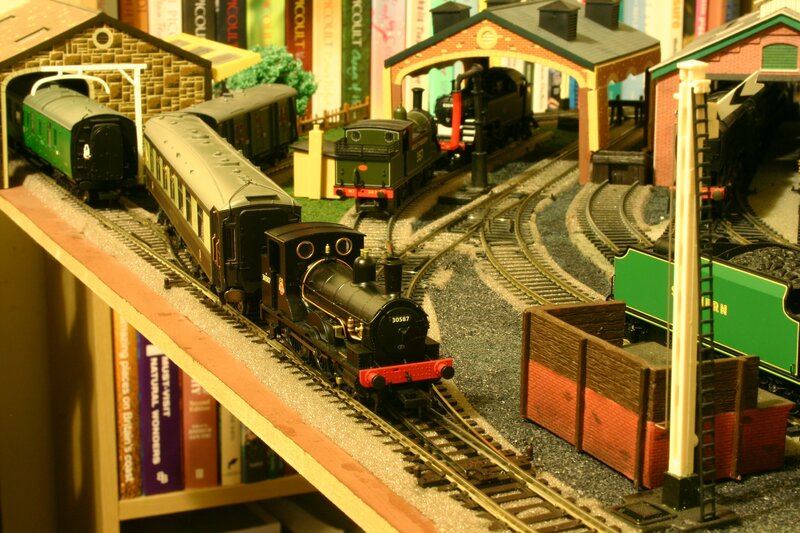 Absorbed into the Southern Railway in 1923, LSWR 298 became Southern 3298. 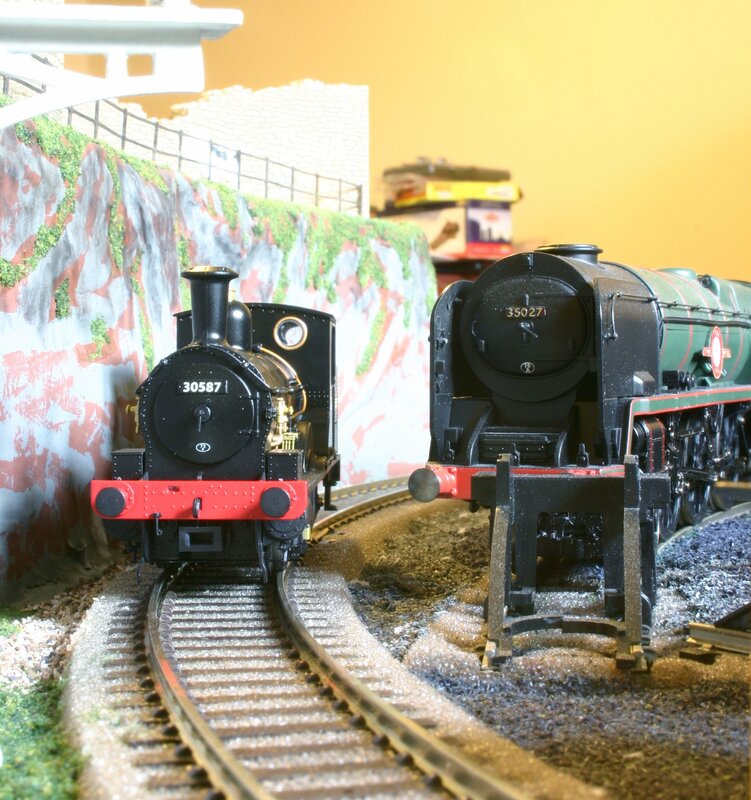 In 1929, SECR P class tank engine’s were trialled on the Bodmin and Wadebridge Lines as possible replacements, but even those tiny locomotives damaged the tight track! So 3298 survived into British Railways when it was renumbered 30587. In 1958 there was a reorganisation of the BR regions and following being made redundant at Weymouth Docks in 1962; small pannier tanks 1367/8/9 were relocated to the Bodmin and Wadebridge lines. Finally a suitable replacement was found for the three Beattie Well-Tank survivors! Due to them being so unique, the remaining Beattie Well- Tanks became mini-celebrities and were used to pull rail tours. 30587 was one of two that survived (the other being 30585.) 30587 is now a member of the National Collection, but is once again working in North Cornwall; on the Bodmin and Wenford Line. 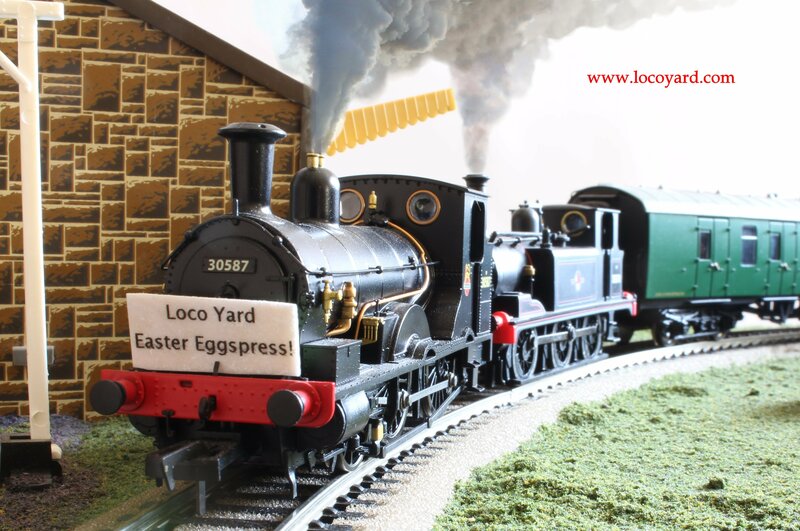 This model is very good (click here to read the review) and is often to be seen in action at locoyard.